We explain what the four operations are and how children learn about addition, subtraction, multiplication and division over KS1 and KS2, working towards solving problems involving all four operations. When teachers talk about the four operations, this refers to addition, subtraction, multiplication and division. They need to know addition and subtraction facts to 20. They will learn to add and subtract one- and two-digit numbers up to 20. From September 2015, children in Year 2 will start to follow the new national curriculum. They will need to know number bonds and which pairs of multiples of 10 add up to 100 (for example, 20 + 80). They will use addition and subtraction facts to 100. They will understand that subtraction is the inverse of addition. Children will recall and use multiplication and division facts for the 2, 5 and 10 times tables. They will solve problems involving multiplication and division using objects or arrays. They need to add and subtract numbers with up to three digits, using column addition and subtraction. They will be able to recall and use multiplication and division facts for the 3, 4 and 8 times tables. They will multiply two-digit numbers by one-digit numbers. They will solve problems involving all four operations. Year 4 children need to add and subtract numbers with up to four digits using column addition and subtraction. They will be able to recall multiplication and division facts up to 12 x 12. They will learn to recognise factor pairs. They will multiply two-digit and three-digit numbers by a one-digit number using a formal written layout. They will solve problems using all four operations. Children in Year 5 need to be able to add and subtract whole numbers with more than four digits using column addition and subtraction. They will become more confident in their mental maths and will be able to add and subtract increasingly large numbers mentally. They will be able to identify multiples, factors and prime numbers. 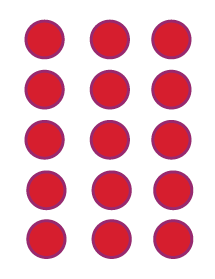 They will use long multiplication for multiplying larger numbers of up to four digits. They will divide numbers of up to four digits using short division. They will be able to solve multi-step problems involving all four operations. From September 2015, Year 6 children will follow the new national curriculum and will need to multiply four-digit by two-digit numbers using long multiplication. They will be able to divide four digits by two digits using long division. They will identify common factors, common multiples and prime numbers and be able to derive squares of numbers up to 12 x 12.